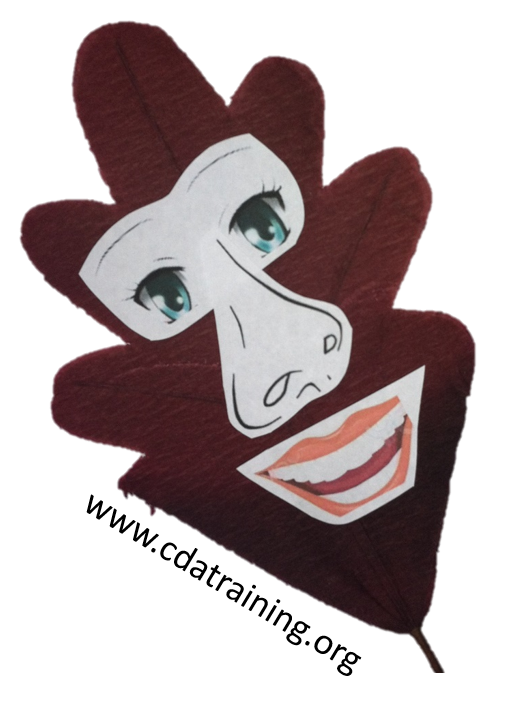 Children are fascinated with faces, let's make some funny leaf faces! Materials needed: Large leaves (cut out or purchase), several face features from magazines or clip-art. (You could let the children cut out face features from magazines, or cut out their own features from their own photograph. ), glue, scissors, tongue depressors. Directions: Set out the large leaves and face pieces. Let the children create their own leaf face. 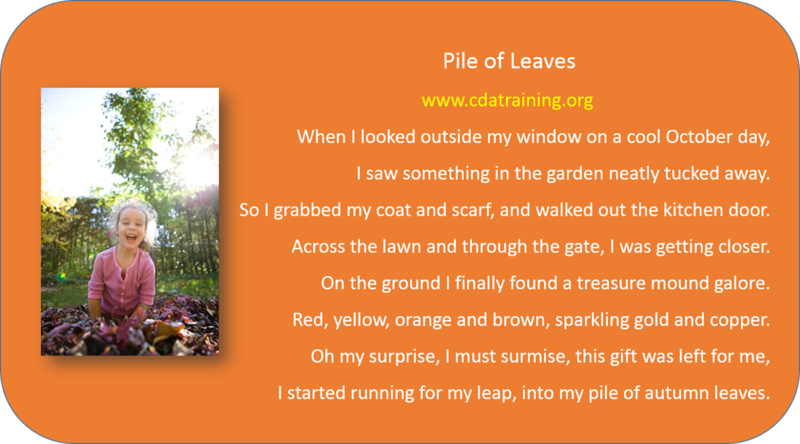 Allow the children’s imaginations to bloom by letting them use as many eyes, noses and other face features as they like! 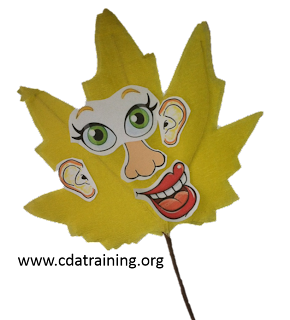 Have the children glue or tape their leaf face to a tongue depressor for puppet fun. 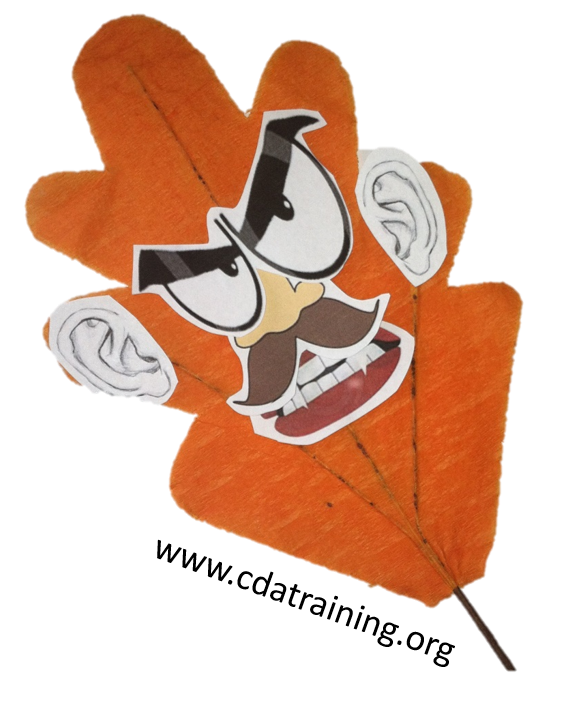 Extension activity: Give the children mirrors, and let them create their own face on the leaf.